Design Freedom Regular is an alkaline perm that provides durable, firm and resilient curls. Design Freedom Regular perm gives you creative flexibility. Water wrap for delicate hair or for soft, open curls. Lotion wrap for thick and resilient hair or for firm and defined curls. Design Freedom Regular’s AHA enriched neutralizer with GFE leverages natural grapefruit acids to lock in curl while providing both shine and manageability. 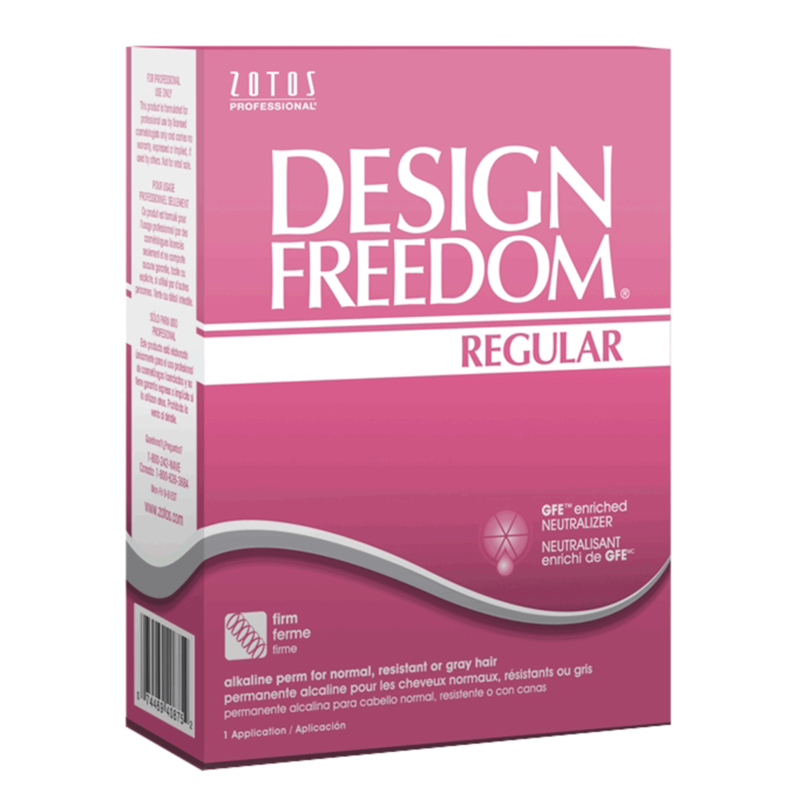 - Design Freedom Regular is ideal for normal, resistant or gray hair.